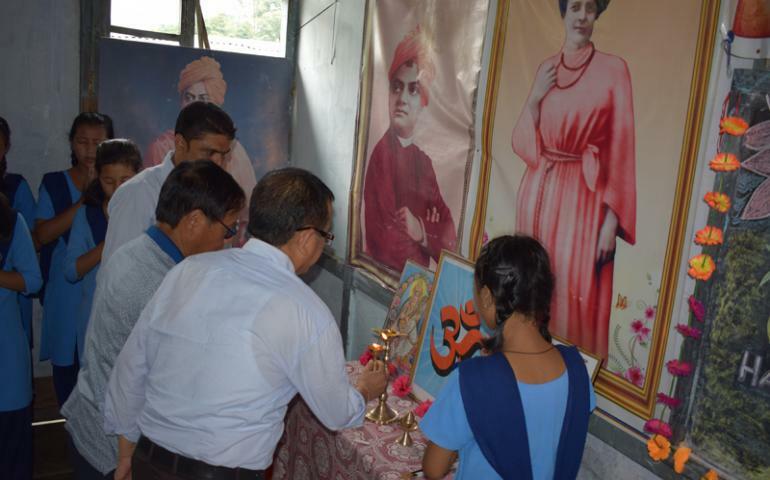 Vivekananda Kendra Branch-Changlang, Arunachal Pradesh celebrated Guru Poornima on 27th July. The guests of the program was Sri Hamjong Matcha, Tirap Vibhag Sanchalak and Sri Samee Timba, District Planning Officer, Changlang and 60 persons from Changlang attended including the teachers of VKV, Changlang. All the guests highlighted the significance of Guru Poornima. Sri Tonpha Diwen, a traditional healer from remote Watlom village of Changlang district was felicitated during the program with a citation and an umbrella. Sri Tonpha Diwen is treating the poor villagers free of cost with herbal medicines since 1990 with his best capacities. This is to be mentioned that in every Guru Poornima, Vivekananda Kendra Changlang felicitate such personalities, who contribute for the society selflessly. The program was concluded with Shanti Mantra.